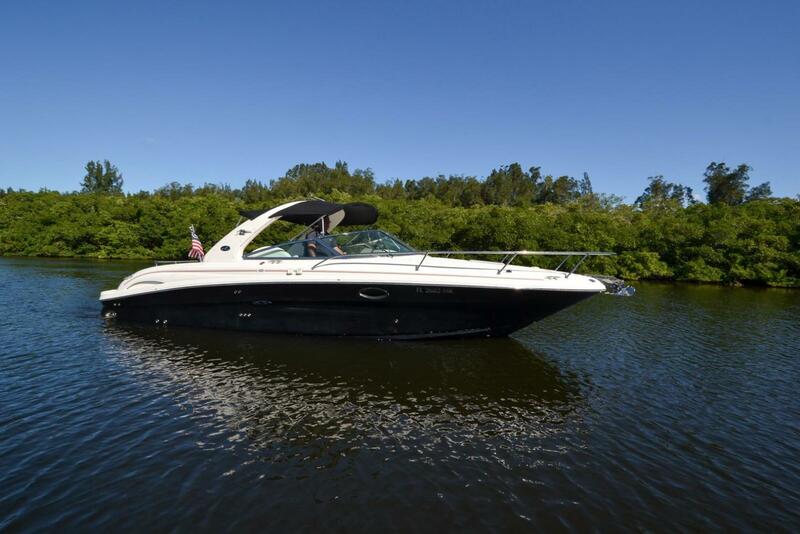 When you combine day cruising, watersports, entertaining and overnight into one boat, you get the Sea Ray 290 Sun Sport. 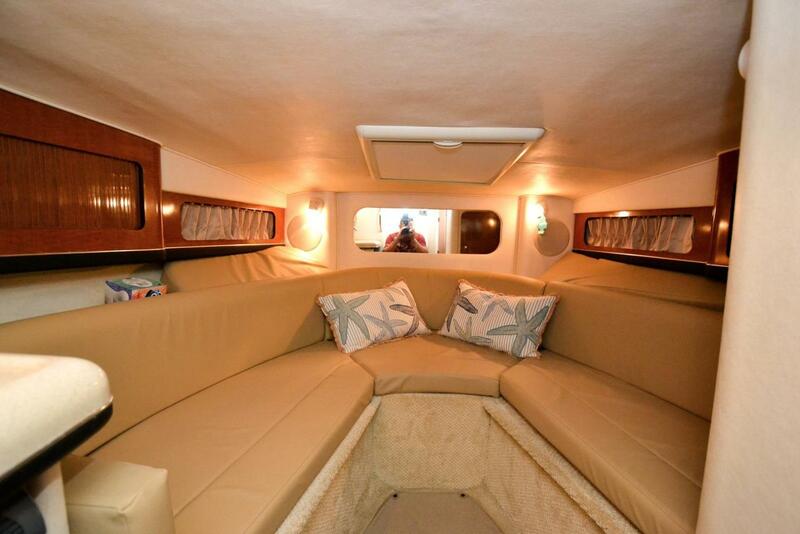 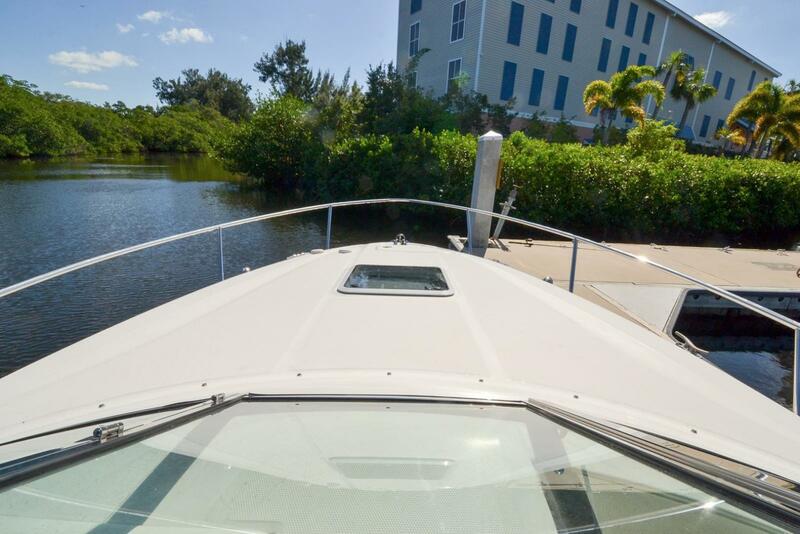 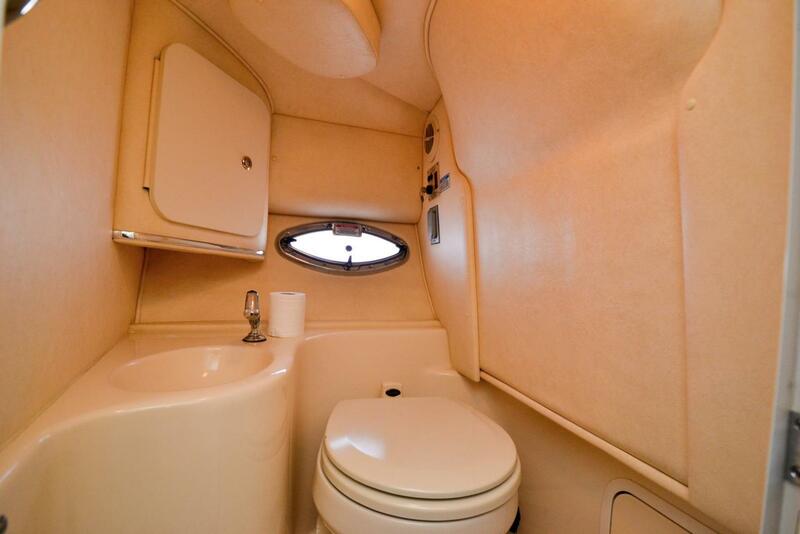 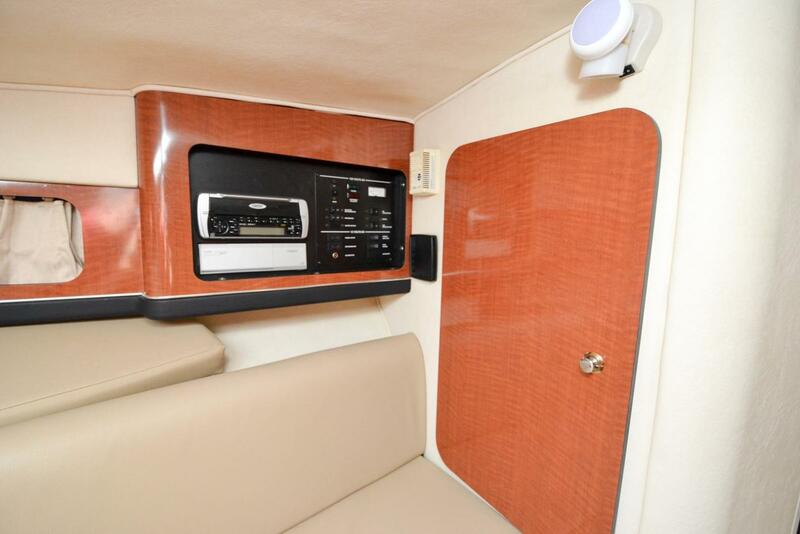 With a wide 9’8″ beam, abundant cockpit seating and space to move, your are sure to be the admiration of your friends when you pull up to your favorite watering hole or spoil island. 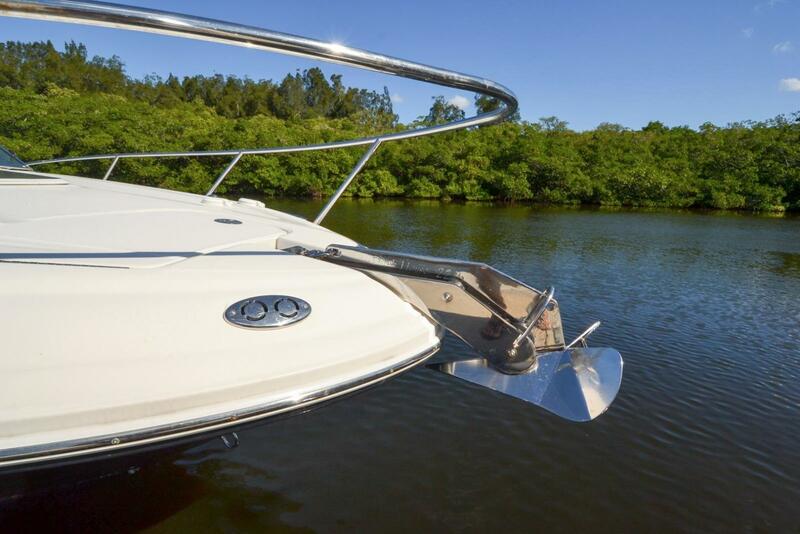 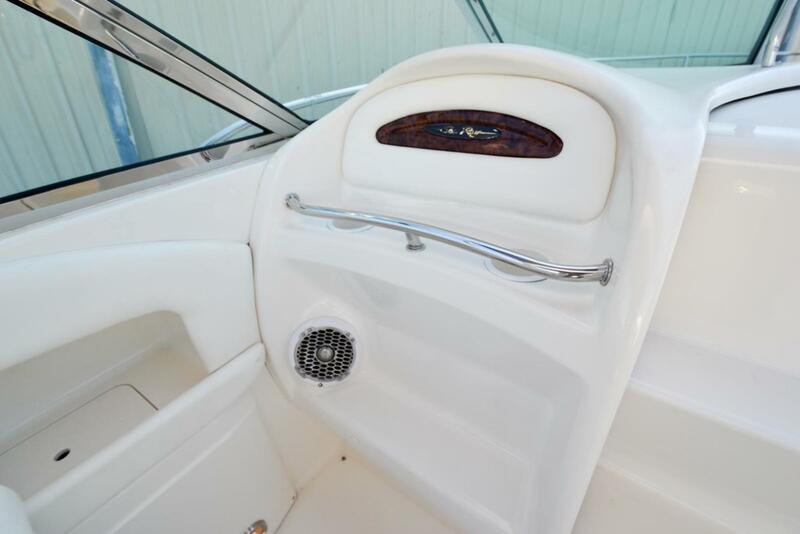 Indeed, the compelling lines of the Sea Ray 290 Sun Sport with its molded fiberglass arch is guaranteed to turn heads. 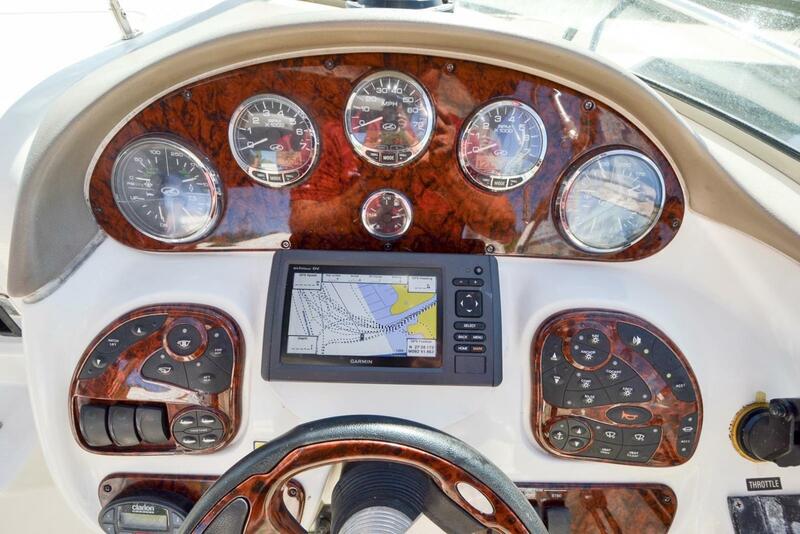 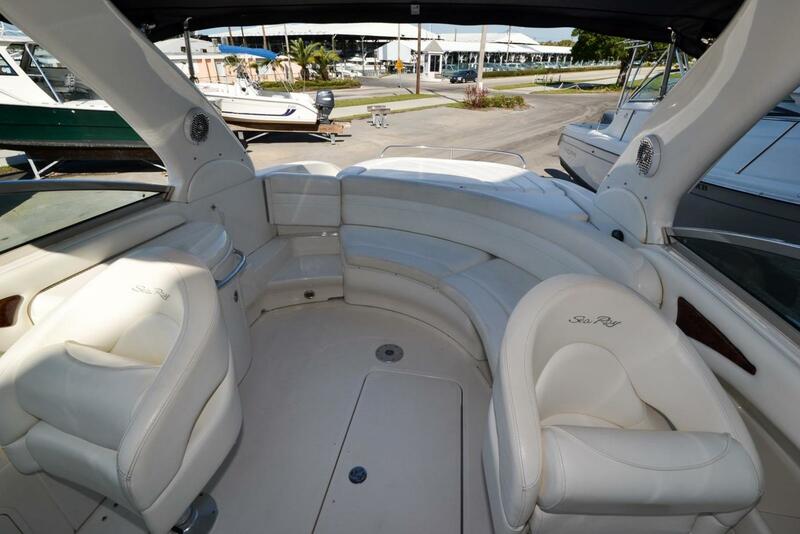 This vessel if fully loaded with shore power, a/c, underwater lights, new rockford fosgate speakers, cockpit cover, Garmin 546s, thru-hull exhaust and livorsi controls. 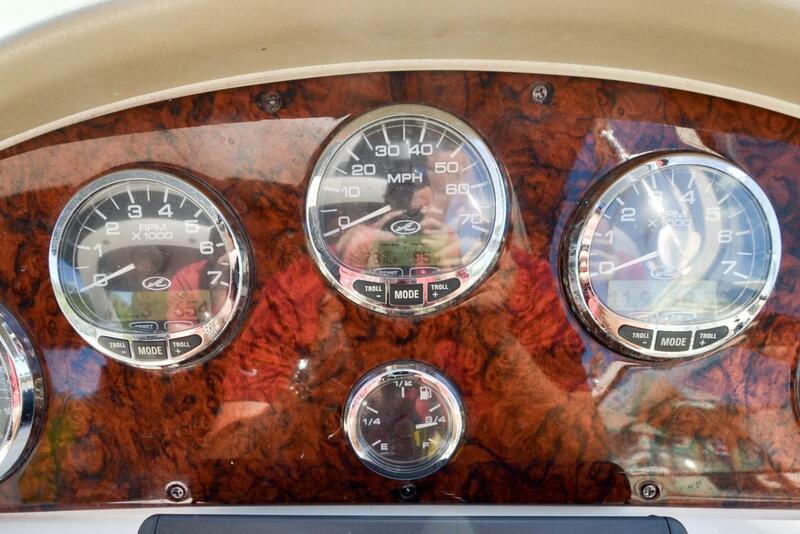 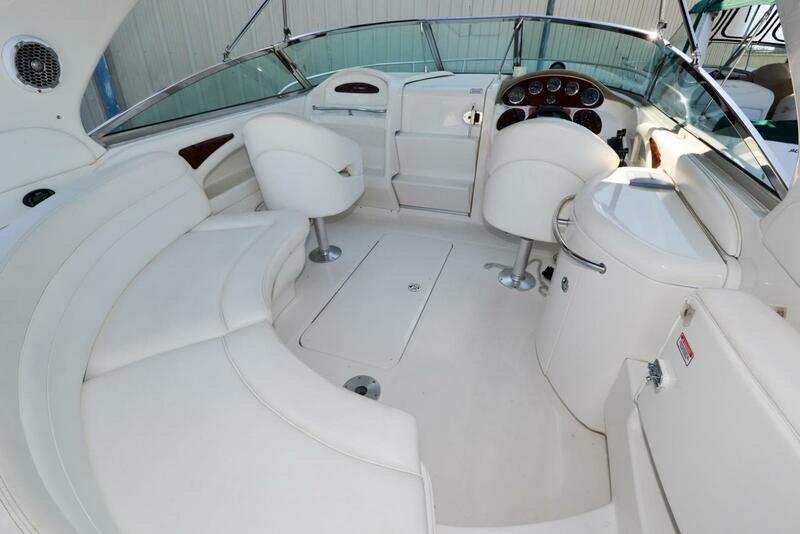 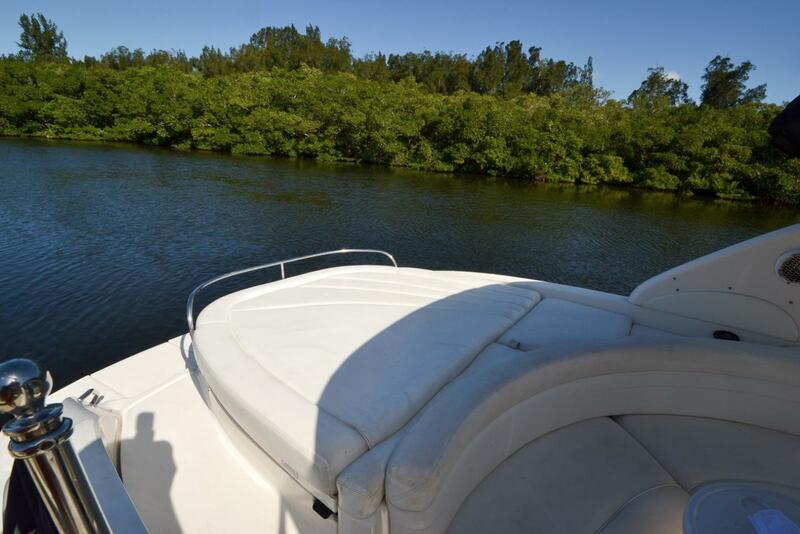 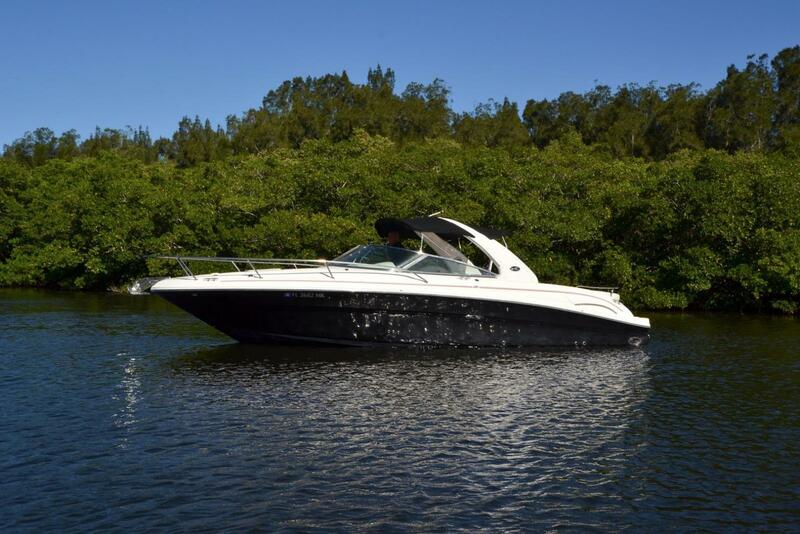 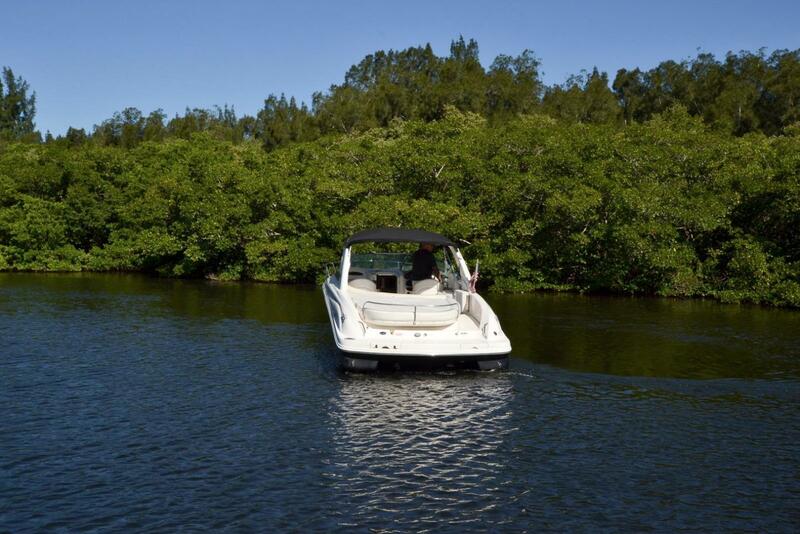 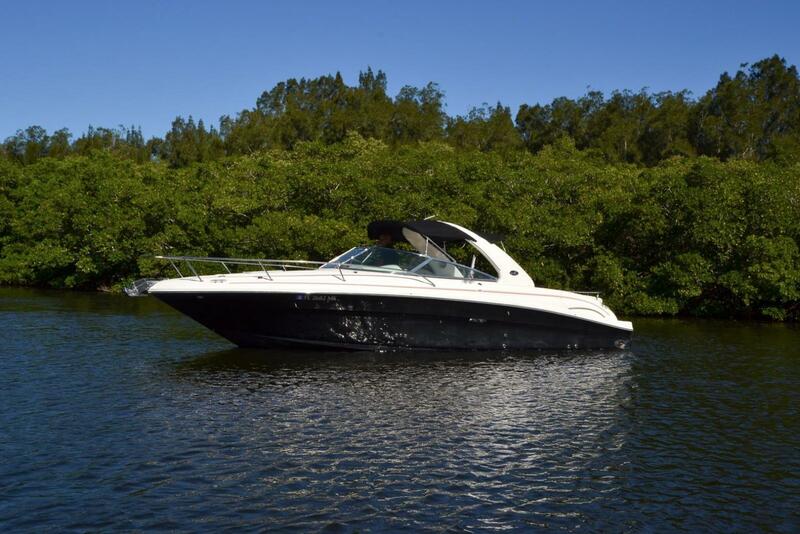 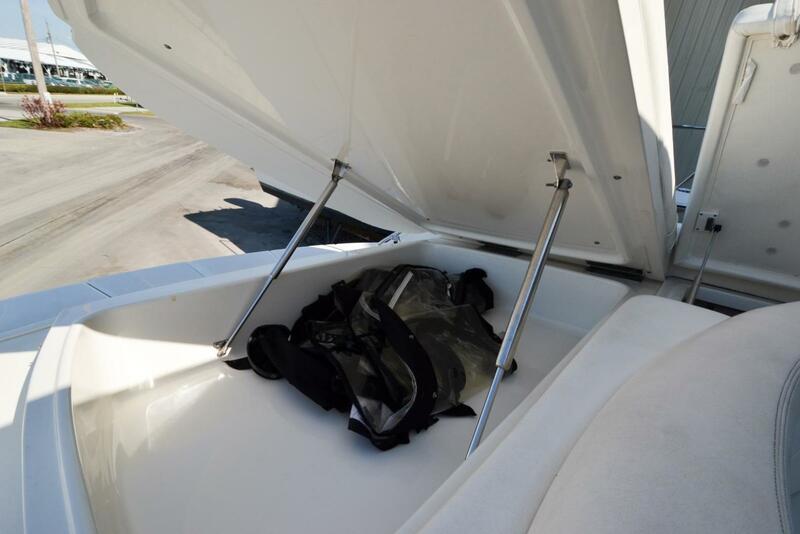 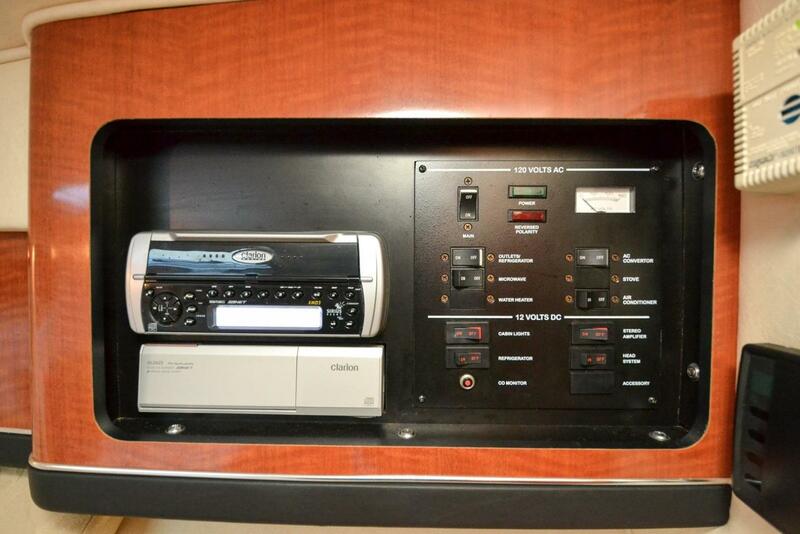 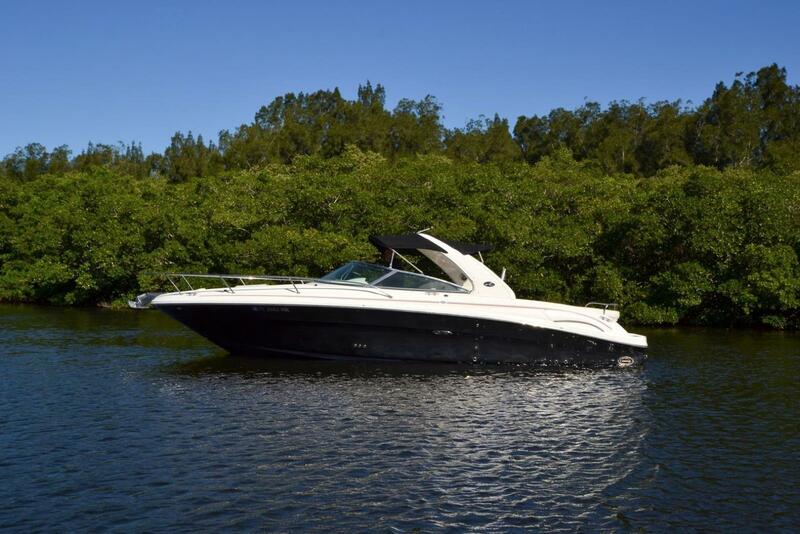 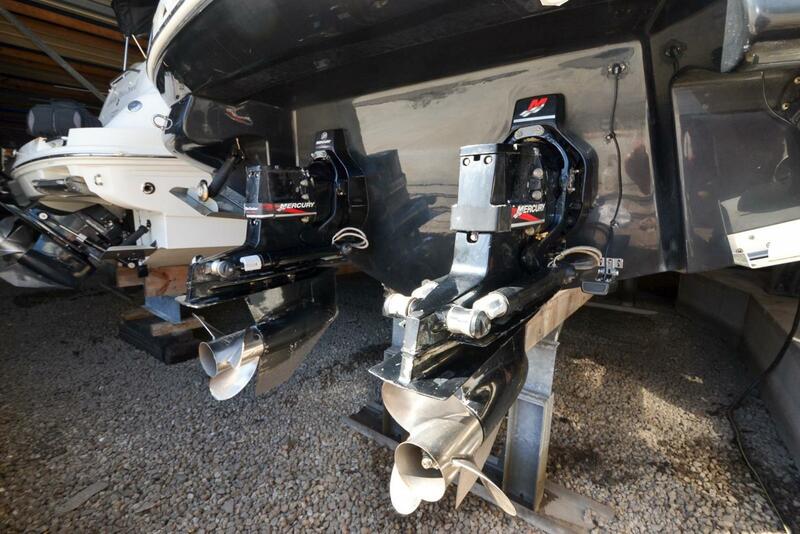 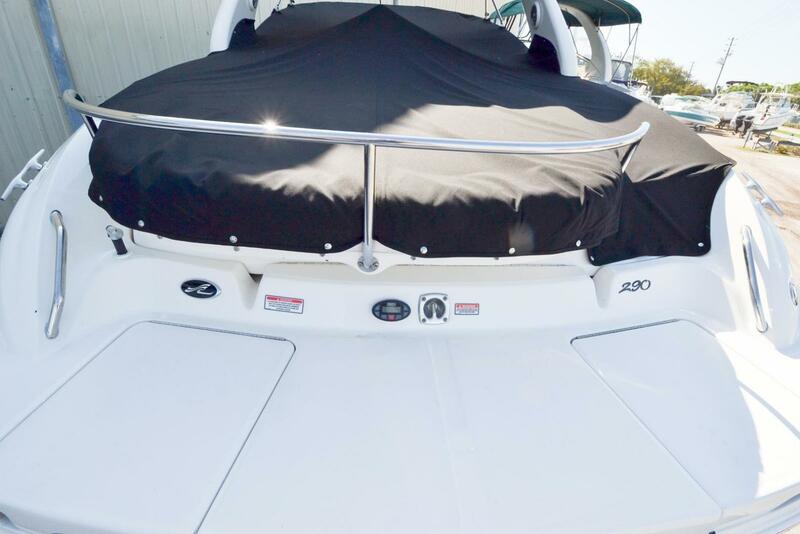 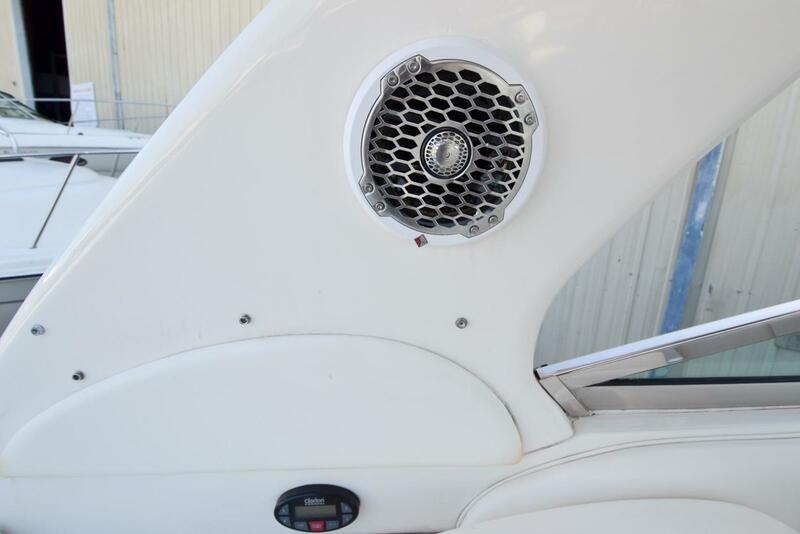 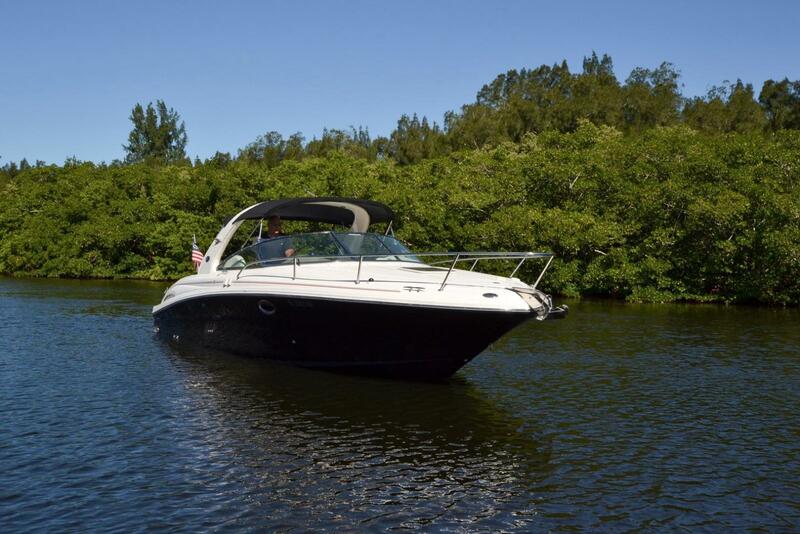 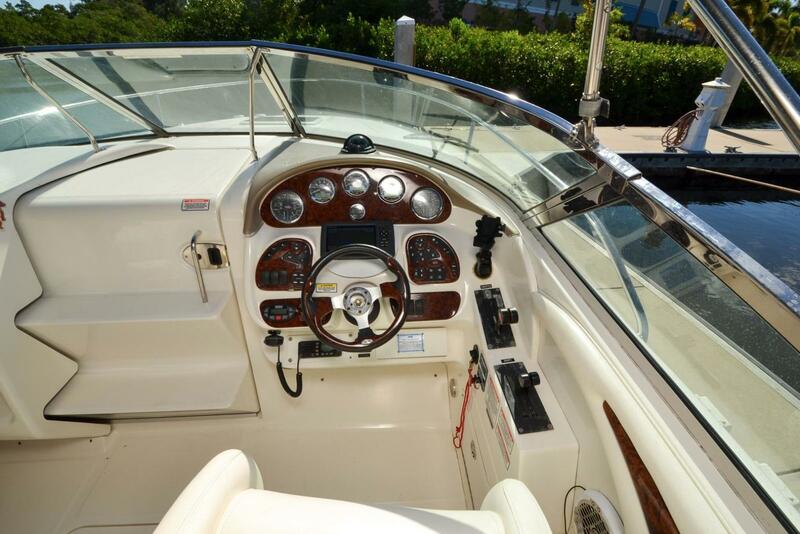 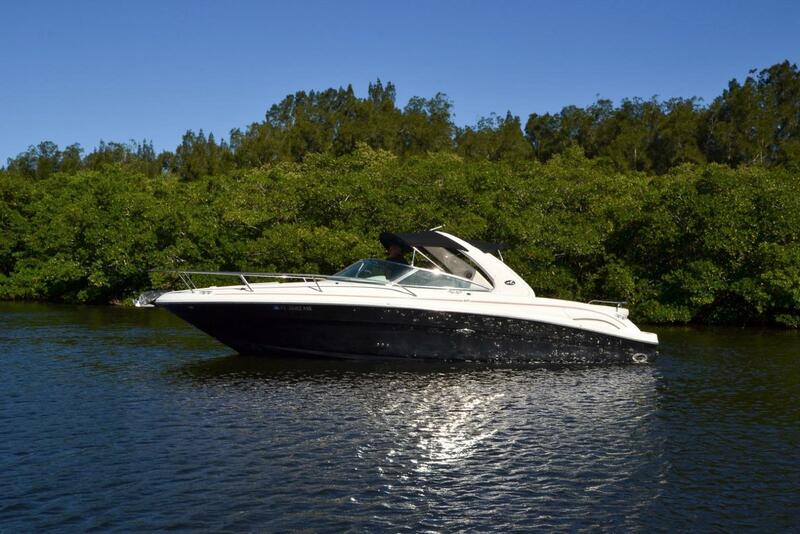 This 290 Sun Sport rides on a deep-V hull with ample beam and a solid fiberglass bottom. 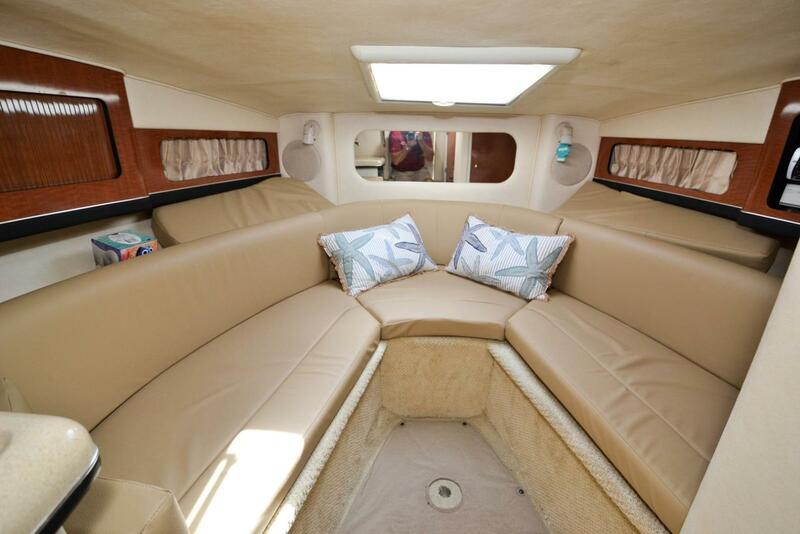 Her spacious cockpit features wraparound lounge seating port to aft, a wet bar to starboard and two captains chairs. 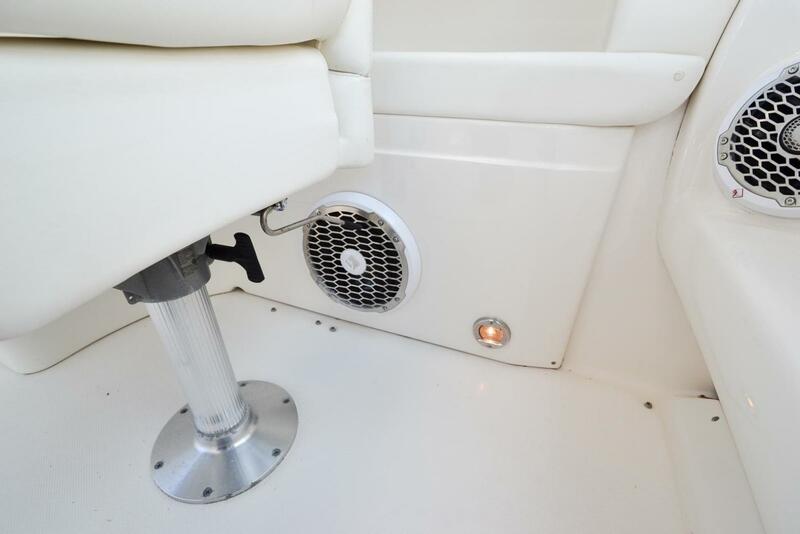 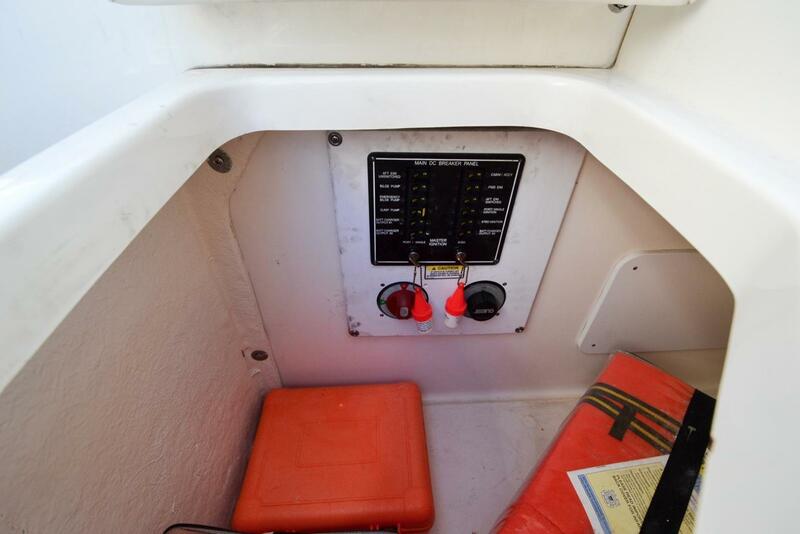 A electric assist engine hatch provides easy access to the engineroom and machinery. 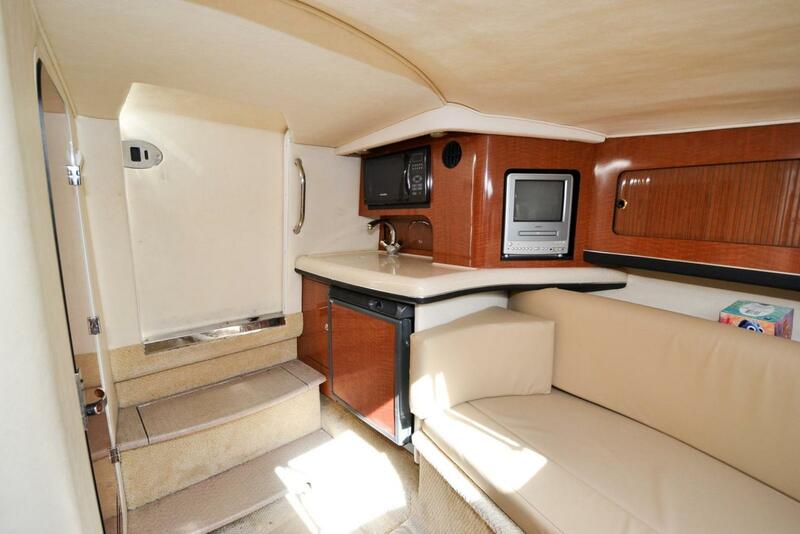 Below decks there is a forward v-berth, head & galley for overnight trips. 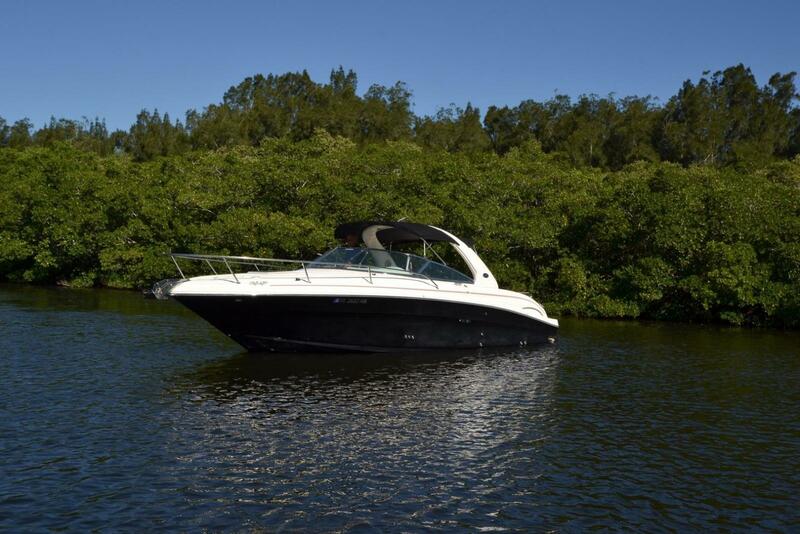 The Sea Ray Sun Sport has little competition in this sport cuddy or sleek express cruiser market. 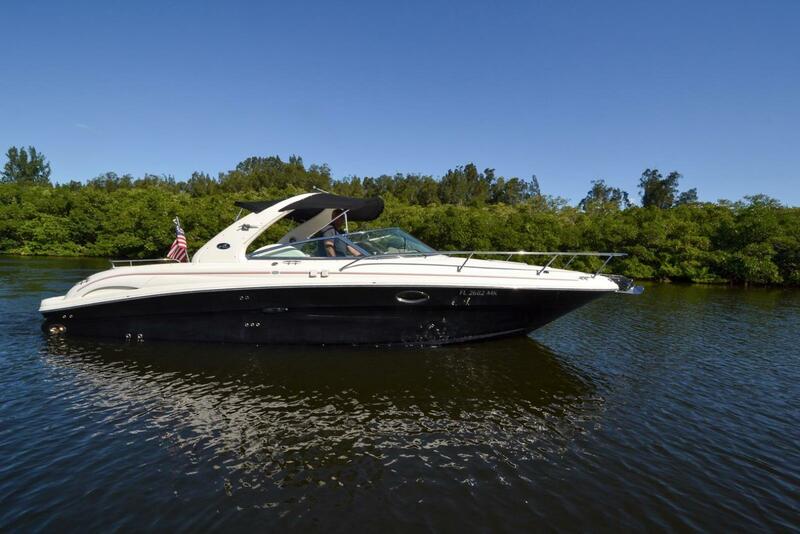 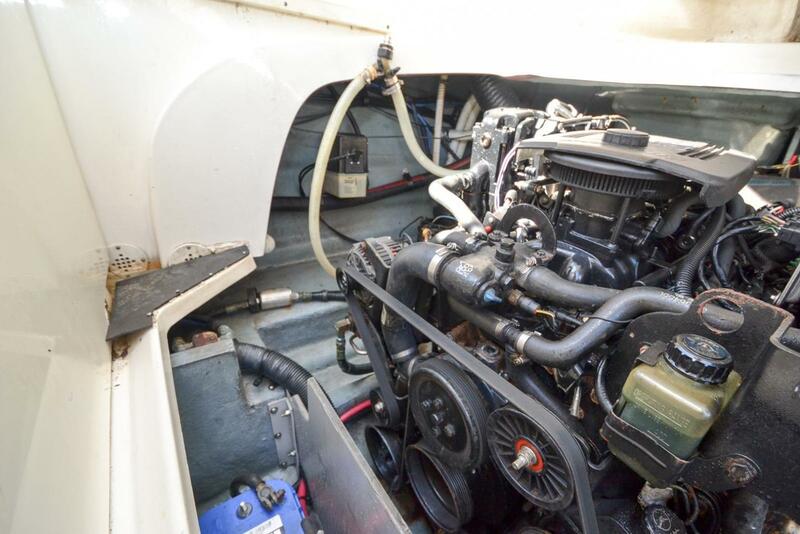 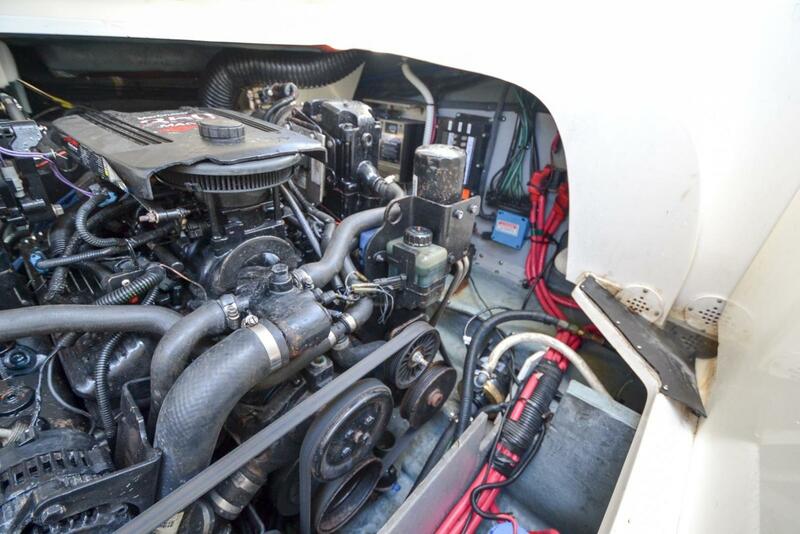 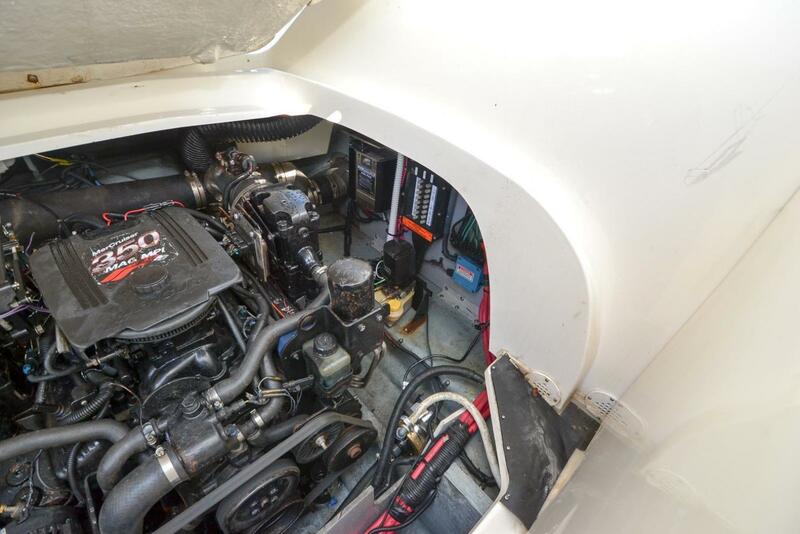 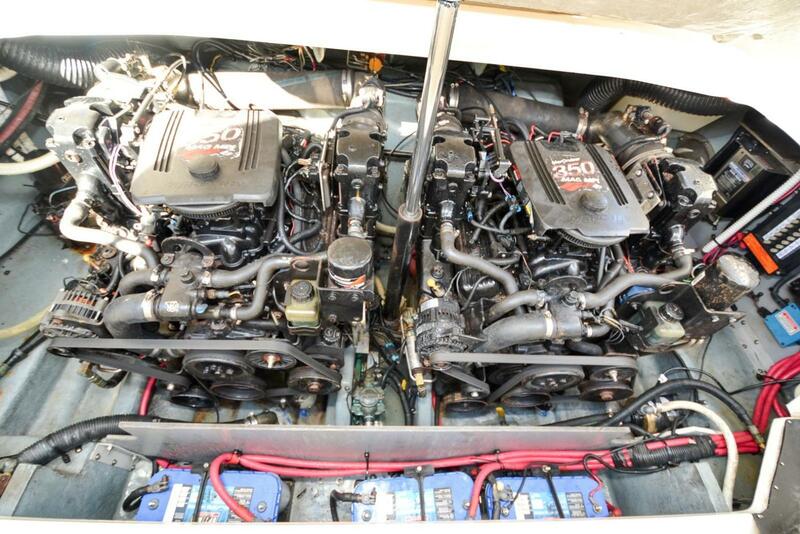 The twin MerCruiser 5.7L 350MAG (gas) with 260hp and BRAVO I sterndrive give you a fast and efficient cruise at 34 MPH at 3500 RPM. 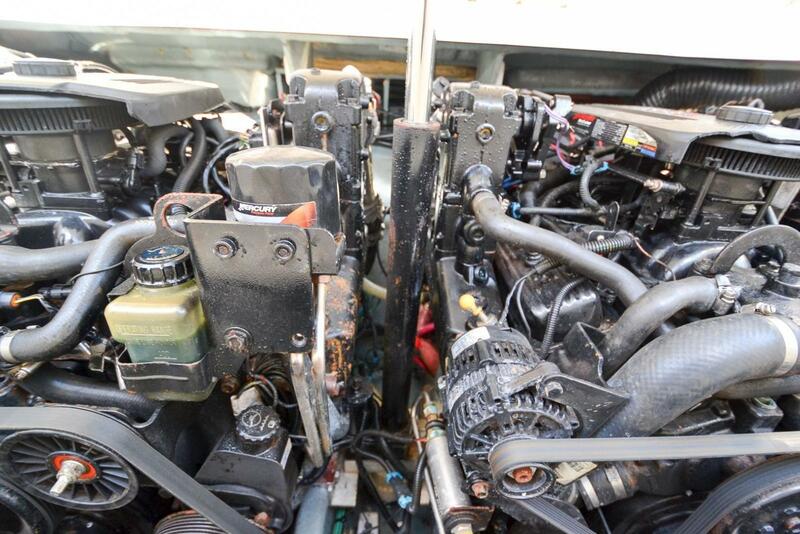 The starboard long block was replaced 02/2015 with less than 100 hours and the port was done 09/2015 with less than 40 hours. 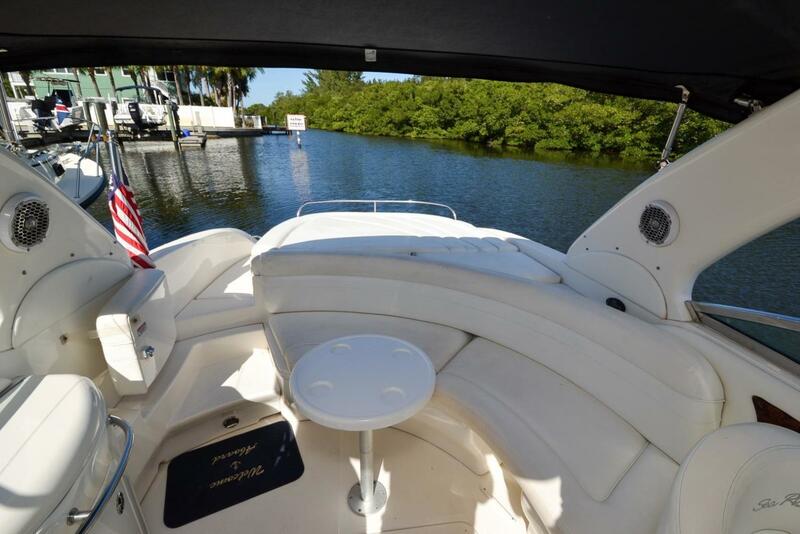 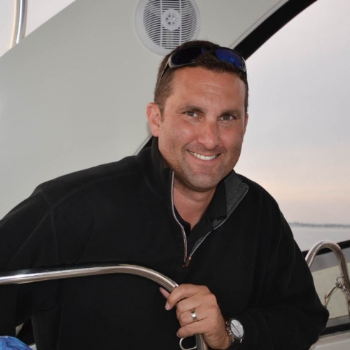 Be sure to read the broker comments and service updates.